The dangers of improperly installed electrical wiring are real. If electrical wiring is installed even slightly wrong, the results could be disastrous to you and your house. This is especially true if your electrical wiring was not installed a by a professional electrical contractor. 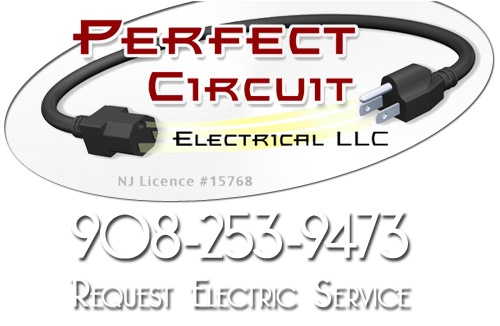 Perfect Circuit is a professional New Jersey electrical contractor that provides customers with Somerville electrical safety inspections to make sure that your wiring is completely safe. If your wiring is not successfully installed, your house could be at high risk for a fire. Bad electrical wiring can easily start house fires, which can result in endangerment to you and your family. 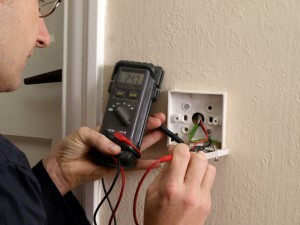 Perfect Circuit provides a professional Somerville electrical safety inspection services. This service includes a detailed diagnostic of the entire electrical wiring throughout your house. All of our professional electricians are properly trained and have the experience to complete a safety inspection. We train our employees to regard safety with the highest importance. We value all of our customers as if they are a part of our own family, and we believe in keeping you and your family safe from electrical dangers. To start your Somerville electrical safety inspection service, a professional electrician will discuss the original wiring with you. They will find out what type of wiring it is, how long it has been installed, if there has been any problems in the past and who installed the wiring for you. If you answer as many of these questions as you can, it will help our professionals better inspect your house. After having these questions answered, our electricians will conduct a detailed inspection of all your electrical wirings. They will test switches and outlets for proper power levels. Using special equipment, our electricians will make sure that all of your electrical wiring and outlets are fully functional. If you have any problems, or safety concerns, our professionals will be happy to address them. We provide a number of electrical repair services to the residents of Somerset County. At Perfect Circuit, we can help you keep your electrical wiring up-to-date and functioning correctly. If you are looking for a Somerville Electrical Safety Inspection Service, then please call 908-253-9473 or complete our online request form.